Product information "JOHNNY GIOELI - One Voice - CD Jewelcase"
Personable, funny, humble, and one of the absolute nicest guys in the business, the powerhouse vocalist recently wrapped up work on a solo album. Johnny says, “One day, I just woke up and said ‘I wanna do this’. I’ve always been so faithful to the groups I’m in, and I remain that way, but I just thought it was time that I do something on my own and see how it goes, for the creativity and the freedom to express myself." The album is finally done and titled “One Voice”, as a tribute to the fans who helped Johnny create this fascinating new piece of music. "I love a big ballad, I love guitar driven rock, melodic hard rock,” says Johnny. “If you've listened to Hardline, you know who I am… and for my Crush 40 listeners, you know me too. I love a song that lifts you up, gets you moving, and gets you in a positive frame of mind." A big portion of the money raised for this album through a crowd funding campaign is going directly to help a young man named Joe Barber. Joe needs help in his recovery from an accident last year that has left him paralyzed. 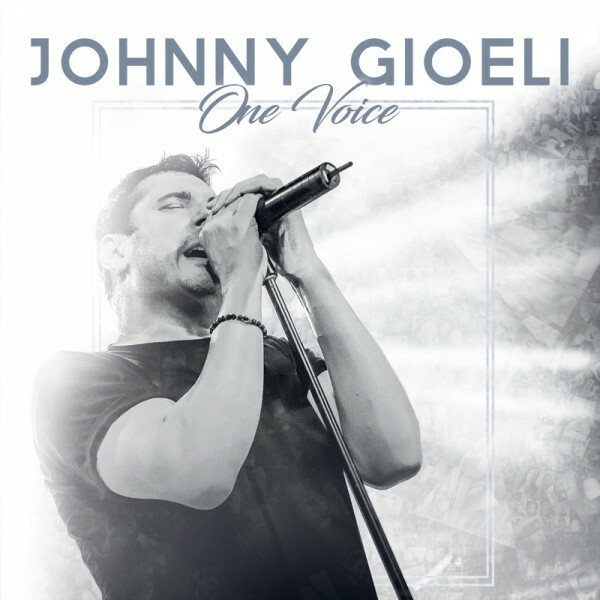 Related links to "JOHNNY GIOELI - One Voice - CD Jewelcase"
Customer evaluation for "JOHNNY GIOELI - One Voice - CD Jewelcase"